This IBKUL UPF50 dress is designed with a lightweight jacquard fabric and classic polo style silhouette. A perfect go-to outfit to wear while on vacation, while walking the town on a warm summer day, or to wear during a casual night out with friends, the polo dress brings style to the idea of casual. In addition, the incredibly soft feel of the fabric will help to keep you comfortable all day long. Available in 5 patterns; 10 colors. Fit: Runs a little generous. 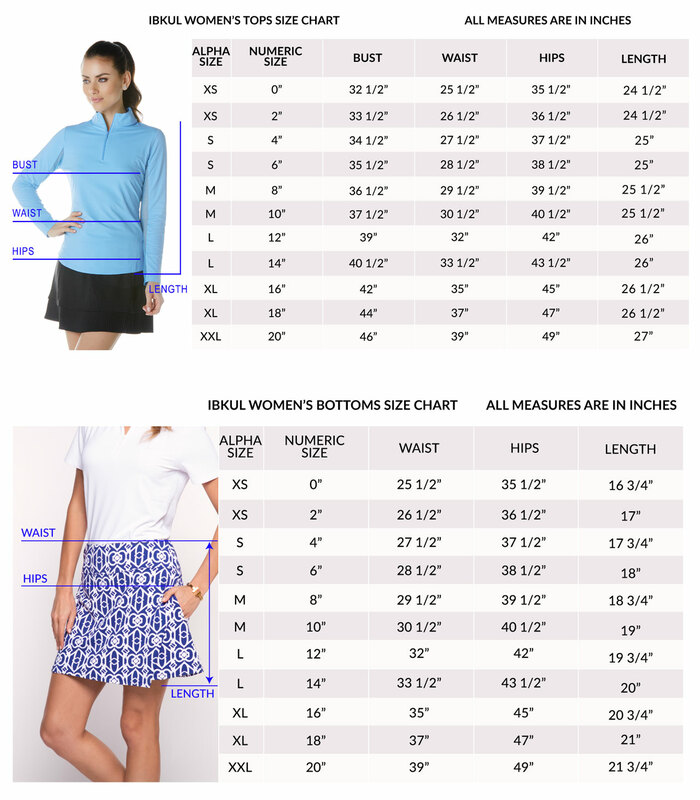 If between sizes, we recommend sizing down.